I love cycling. I think cycling is an amazing sport that allows us to do amazing things: to ride a hundred miles in a single day; to race down a hill at over 60 mph; to see parts of the world that we would never otherwise see. To do all of these things using nothing but our own body and 18 pounds of carbon fiber, aluminum and rubber is, for me at least, like having super powers. I also believe that there is something special in competition that brings out the best in us. Unfortunately in the "real world", money and power usually go a lot further than intelligence, creativity and talent. Sports, however, are meritocratic. The term "level playing field" is a sports metaphor after all, meaning that that those with the ability and the drive can make it... at least if we all agree to play by the rules. I just read "Wheelmen: Lance Armstrong, the Tour de France, and the Greatest Sports Conspiracy Ever", and unless you've been living under a rock, you have probably heard about this book. It's authors, Reed Albergotti and Vanessa O'Connell have been on a publicity tour lately which included interviews on Fresh Air and The Colbert Report. Although I found the book to be an incredibly fair, well-researched and easy-to-read, a big part of me wishes that all these stories about doping and cycling would just go away because the last thing our sport needs is more stories in the news about doping. But that doesn't seem like it's going to happen any time soon. First, there are still quite a few pending lawsuits against Armstrong. Then, there are the dueling movies, Alex Gibney's documentary "The Armstrong Lie" and Stephen Frears' yet to be named biopic based on David Walsh's book. As that we are in the so called "golden age of the antihero", I wouldn't be surprised to see more Hollywood adaptations of this story. Meanwhile, last month, Chris Horner became the first American since Greg LeMond to win a Grand Tour. Sadly, most people in the general public didn't even take notice, further evidence that there was something about Lance that captured American hearts in a way that no one else has done before or since. Even more depressingly, doping allegations have already been made against Horner barely a month after his big win. Those that have read my past blogs about this topic know that I believe in "innocent until proven guilty", but I admit that I find myself becoming very skeptical of Horner, despite the fact that he has been racing for 20 years and won 73 major races without ever failing a test. Though there was far more evidence against Armstrong, even in 1999 than against Horner (at least in the public sphere), I am pretty sure that many people out there have resigned themselves to the fact that cycling is a dirty sport, at least at the top level. For evidence of this, one has to look no further than Tilford's blog. While I read "Wheelmen", I found myself turning inward. As the story was told, I tried to remember back to where I was at the time and how I felt about Lance. Although I never would have considered myself a huge Lance fan, I certainly rooted for him for most of his career. I was standing on the Manayunk Wall when he attacked to win the triple crown in 1993. 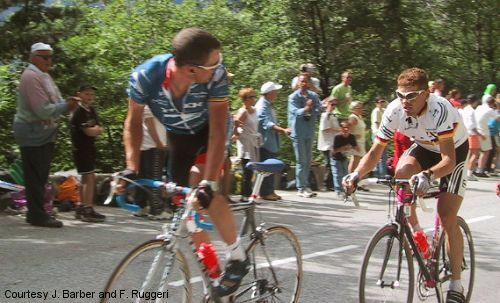 I cried when I watched him win on Sestriere in 1999 and I thought that Lance's performance on Alpe D'Huez in 2001 was one of the most impressive tactical victories I had ever seen. Of course, many in the cycling world that saw themselves as rebels and non-conformists resented the fact that Lance made cycling more popular in the mainstream (i.e. "The Lance Effect"), but personally, I loved it. I thought that the more people buying bikes, wearing spandex, joining group rides and entering races the better. It meant that there would be increased recognition and respect for my sport. That meant better racing, more job opportunities and more attention to cyclists' rights. In 2004, I quit my engineering job and went to work for Cadence Cycling & Multisport. Cadence was a relatively new concept at that time. Downstairs, they had a bike shop that specialized in high-end racing bikes. Upstairs, where I worked, they had a CTS training center which taught indoor classes, physiological testing and personalized coaching for athletes. Although we quickly diverged from "The CTS method" we thought, at least at first, that the association with Chris Carmichael was necessary for our recognition and credibility. Chris Carmichael in turn, had made his career based on his association with Lance Armstrong. At Cadence, I had the privilege of working alongside numerous ex-pro cyclists, some of whom had even been teammates with Armstrong. As more doping allegations came out against Lance and more of his closest competitors tested positive, more people would ask us if we thought Lance was doping. Though the scripted response was always "We have to give him the benefit of the doubt", in private we all figured most of it was probably true. When the house comes crashing down though, you start to see the other side of the story... I had athletes and friends who missed out on once-in a lifetime opportunities because of dopers. I saw sponsors pull out of the sport because of disillusionment, leaving the talented juniors I coached with few options when they turned 19. Most importantly, I found it increasingly difficult to make the argument that sponsoring cycling could be a great investment in branding because it epitomized a healthy lifestyle. With regard to Lance, the more the truth has come out, the more I've realized that although his sins were far greater than just doping, conspiracies that big don't happen just because of one person. It takes a village, and we've all been living in it. 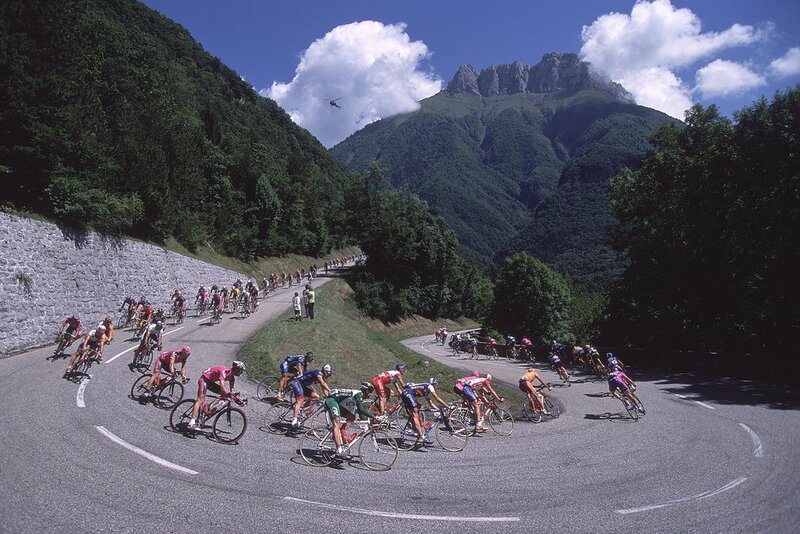 In 1994, Armstrong was asked if he thought he was the next Greg LeMond. He responded, "I'm not the next Greg LeMond, I'm the first Lance Armstrong". Less than 7 years later, the press was already speculating on who would be "The next Lance Armstrong". Today it is clear that there will never be another Lance Armstrong. Even if there were, would we want that? Admittedly, part of me still does. Part of me misses the days when we all felt like we had a hero we could believe in. I miss the days when we had someone in the public eye that was inspiring people to donate to cancer research, increasing awareness of the sport of cycling, driving people to buy expensive bikes and hire coaches, helping bicycle advocacy and yes, making skinny guys in spandex seem cool. But all heroes have their flaws, and sometimes those flaws are big enough to undo all the good they may have done. Even if you take away the doping, Lance was a sociopathic bully that would stop at nothing... not only to win but to destroy his competition and anyone who got in his way. If we let people like that get away with it, or even if we are willfully ignorant, we lose the hope that sport has the potential to bring out the best part of ourselves. Sometimes it can be a lot easier to look backwards than forwards, but the past can consume you with sorrow and regret if you let it. So I have to challenge myself and all the other riders, coaches, race directors, officials, sponsors and fans out there to look to the future. What kind of sport do we want to be? How can we do a better job of ensuring a level playing field? How do we catch the cheaters without accusing the innocent? How can we make our sport more accessible to everyone without opening the door to corruption? How can we learn to believe that humans are capable of amazing things without being naïve or willfully ignorant? Unfortunately, right now I have a lot of questions and not too many answers. All I can promise is that I will keep trying to answer them, keep trying to make our sport better, keep hoping and keep believing.